Sound Planning’s noise assessment consultants providing acoustic consultancy services in London, South East and the UK. Our noise consultants are full members of the Institute of Acoustics (M.I.O.A). For all noise assessments we use Type 1 Sound Level Meters and Accelerometers – UKAS calibrated for the highest accuracy required for environmental noise monitoring & vibration measurements. We are experienced in liaison with Local Planning Authorities and Environmental Health Teams improving the likelihood of a successful resolution to the noise problem. 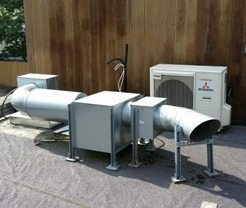 Please contact our offices with your requirements and we will provide a quotation for our services. Equipment assesses vibration levels in one third octave bands (or narrow band if required) in order to accurately assess problem frequencies. 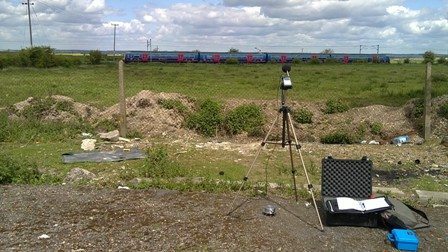 A vibration assessment is usually required by local planning authorities when new buildings are to be constructed near existing railway lines. Vibration mitigation measures may be required and are included in Sound Planning’s mitigation strategies. Sound Planning Limited – Farnham, Surrey, Greater London.